The newly developed XYZ CARGO BIKE and the XYZ CARGO TRIKE are part of the Berliner Fahrradschau 2014, March 22nd & 23rd. We are situated directly at the main entrance – come by and join us for a test ride! 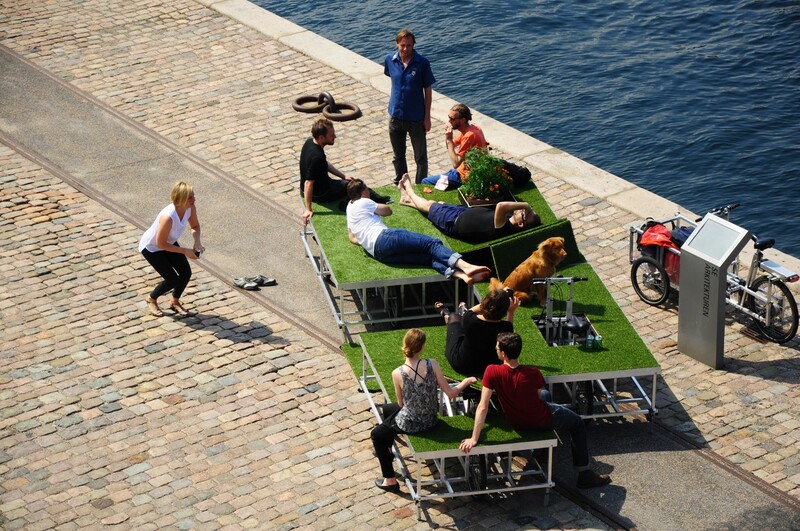 The PARKCYCLE SWARM is a modular system that empowers persons to build an instant public park whenever and wherever they want to. The PARKCYCLE SWARM consists of a number of human powered mobile gardens. 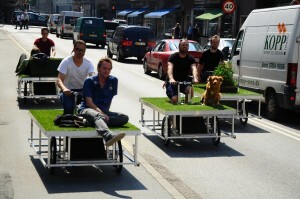 The number of individual gardens in a PARKCYCLE SWARM can vary and they can be combined to form different public parks. Areas normally used by cars like parking lots or roads in general can be reclaimed and used for non polluting peaceful social activities instead. Each vehicle has been designed to comply with local bicycle regulations. 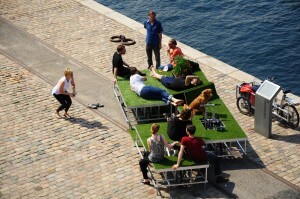 Therefore it can be placed in public space without restrictions and without paying parking fees or renting ground space. The PARKCYCLE SWARM system is based on the XYZ SPACEFRAME VEHICLES project. PARKCYCLE SWARM is an Open Source project by N55 and Till Wolfer in collaboration with John Bela from the Rebar group.